It may come as a surprise that Grundy County in Tennessee attained a higher percentage of Latter-day Saints than any other county east of the Mississippi River in the U.S., following the western exodus of Latter-day Saints to the Salt Lake Valley. I don't know what the peak percentage was. Some claim that the percentage was greater than 50% of the entire County population. I have never been able to verify that claim. However, I found online data that indicate that, as of 2010, 8.6% of Grundy County residents described themselves as Latter-day Saints. From the data source I linked to, I based my percentage on the hard number counts, because the displayed percentages didn't make sense. Altamont is the County Seat of Grundy County. 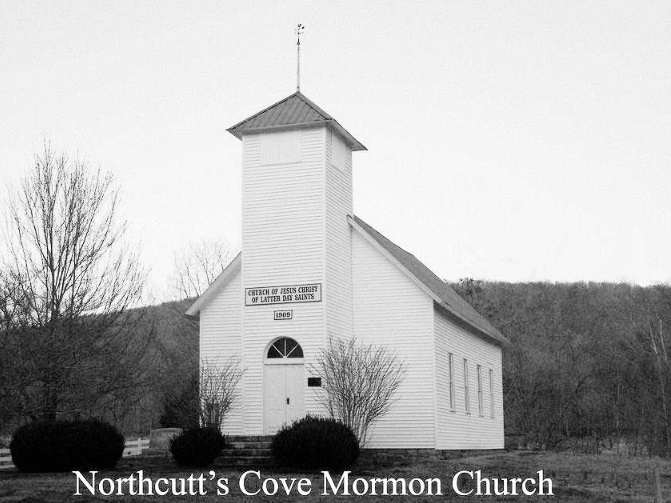 In or around Altamont are three LDS chapels, representing three different eras of LDS church history in Grundy County. Even though only one is actively used by the Church, all three are still in tact. Their locations can be seen on the map below. Northcutt Chapel, dedicated in 1909. The Northcutt Chapel, called Nunleys Cove Church on Google Maps, is located about seven miles north of Altamont on Northcutts Cove Road near where the Cove reaches the base of the Cumberland Plateau, at 1070 ft elevation above sea level. Today, the property that the Chapel is located on, is owned by a non-LDS family. I'm going to go out on a limb, and guess, the Nunley's. The family has been generous in allowing interested parties to stop and enter its doors, for group gatherings and personal meditation. A cemetery is located just east of the Chapel, which primarily contains graves of the early members of the congregation. Side roads in the area show the influence of the LDS Church in the community, such as Utah Rd in neighboring Beersheba Springs. The Northcutt Chapel is a popular destination of Latter-day Saints in Tennessee and beyond who have an interest in LDS Church History. 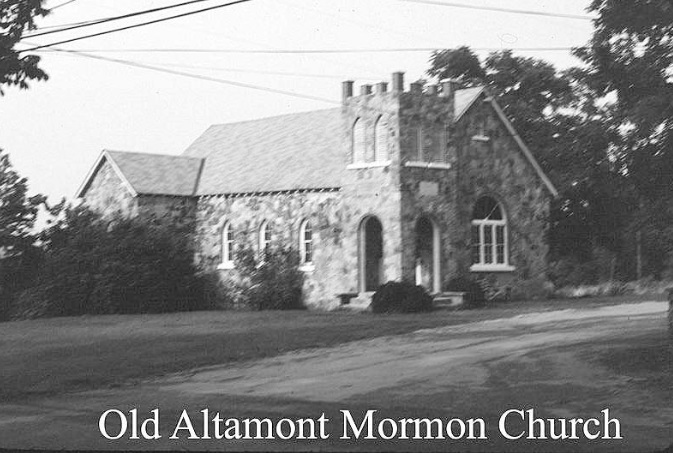 Old Altamont Chapel, dedicated in 1946. This chapel is located in Altamont, less than a block from the County Courthouse, and is at 1860 ft elevation. The outside walls of this chapel were constructed of native stone, much of which was gathered out of the surrounding mountains, and hauled on sleds drawn by mules. 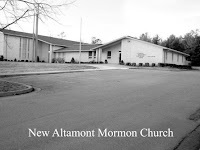 A quote from an article about this chapel, written by Gordon B. Hinckley in 1948, reads as follows, “...in 1938, President William T. Tew of the East Central States Mission, secured from the Church, an appropriation of $1,000 with the understanding that the Altamont saints would furnish whatever else was necessary to complete the project.” President W.T. Tew, it turns out, is my uncle (Uncle Will, as we called him). Services were held in this building from 1946 – 1981. An interesting post-1981 factoid about this Chapel is that, in the 1990's, when the Altamont County Courthouse burned down, it served as the temporary courthouse, until the new permanent courthouse was built. Today, the old Altamont Chapel is unoccupied, but still standing. It will likely remain standing, since it has historical significance to the City of Altamont. 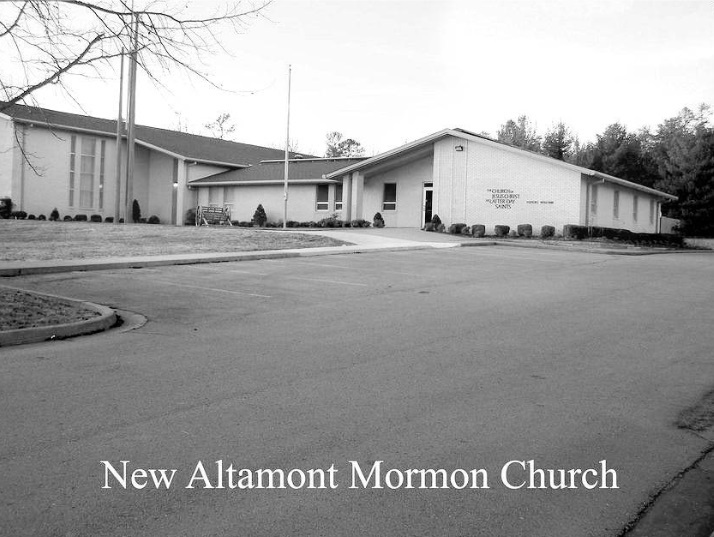 New Altamont Chapel, dedicated in 1981. As Church membership continued to swell, and the local congregation achieved “Ward” status, it became evident that a larger chapel would be needed to accommodate the growing number of worshipers. A program was begun to acquire the necessary resources to construct a larger facility. Fund raisers were held and auctions of donated items were conducted. Church headquarters in Utah provided funds as well, along with design and construction expertise. In 1980, ground was broken, and by December 1981, the third and final phase of the building was completed. This building meets very rigid construction codes and was intentionally designed as an emergency shelter for the community. 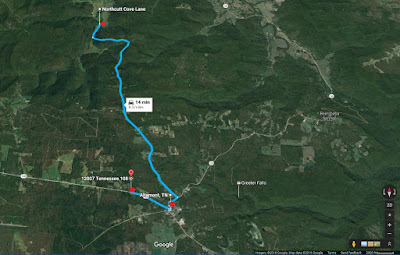 The Chapel is one mile WNW of Altamont on Hwy 108, heading toward Viola, TN., and is also at 1860 ft elevation. At the time of its dedication, it was the largest building in the City of Altamont.